More people die of tuberculosis than of any other disease caused by a single agent. This has probably been the case in quite a while. During the __1__ early stages of the industrial revolution, perhaps one in every seventh __2__ deaths in Europe’s crowded cities were caused by the disease. From __3__ now on, though, western eyes, missing the global picture, saw the trouble __4__ going into decline. With occasional breaks for war, the rates of death and infection in the Europe and America dropped steadily through the 19th and __5__ 20th centuries. In the 1950s, the introduction of antibiotics strengthened the trend in rich countries, and the antibiotics were allowed to be imported to __6__ poor countries. Medical researchers declared victory and withdrew. They are wrong. In the mid1980s the frequency of infections and deaths __7__ started to pick up again around the world. Where tuberculosis vanished, it came __8__ back; in many places where it had never been away, it grew better. The World __9__ Health Organization estimates that 1.7 billion people (a third of the earth’s population)suffer from tuberculosis. Even when the infection rate was falling, population growth kept the number of clinical cases more or less constantly at 8 __10__ million a year. Around 3 million of those people died, nearly all of them in poor countries. for quite a while 作 “相当长时间”讲. 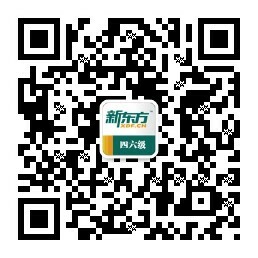 这个谓语动词的主语是单数短语 one in every seven deaths, 因此要使用单数.